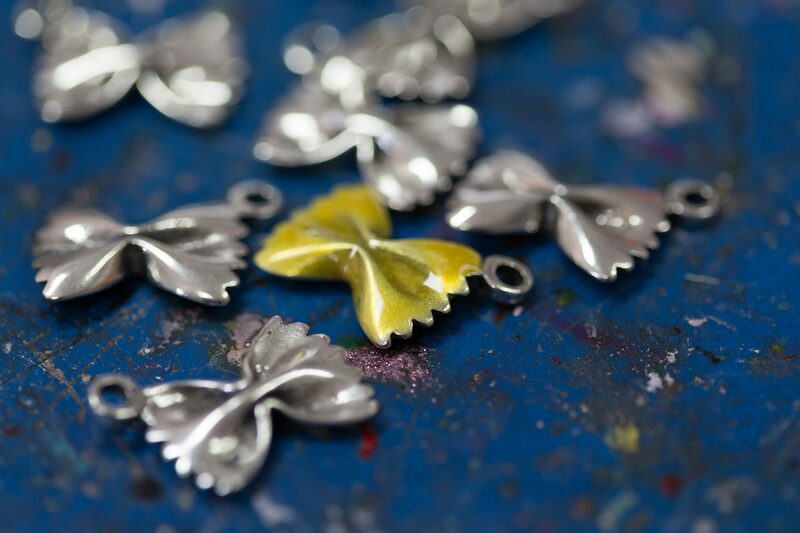 The colors add flavor to all of our food charms. 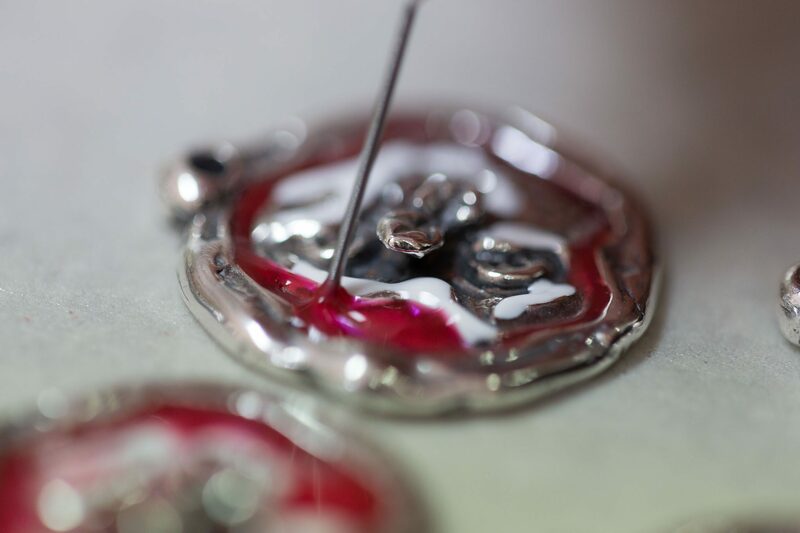 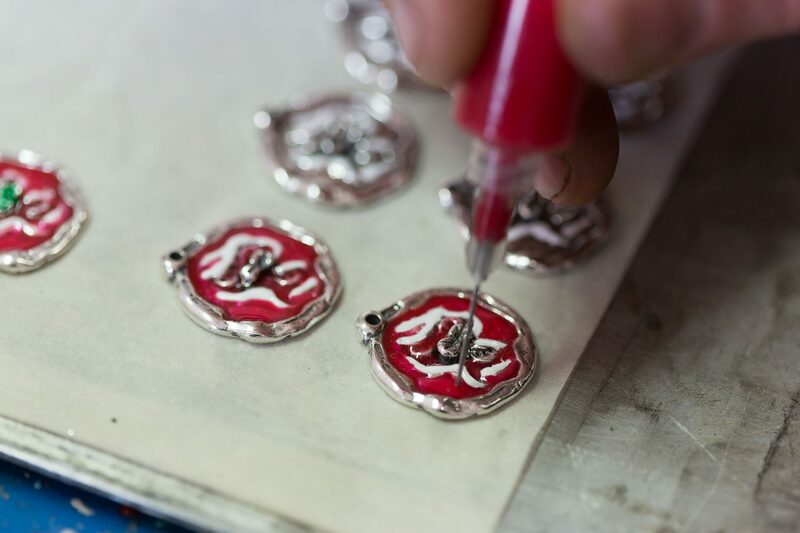 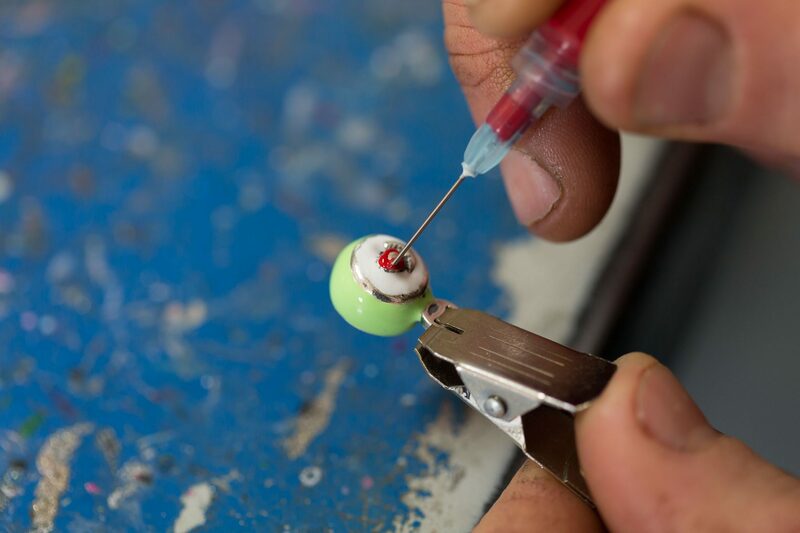 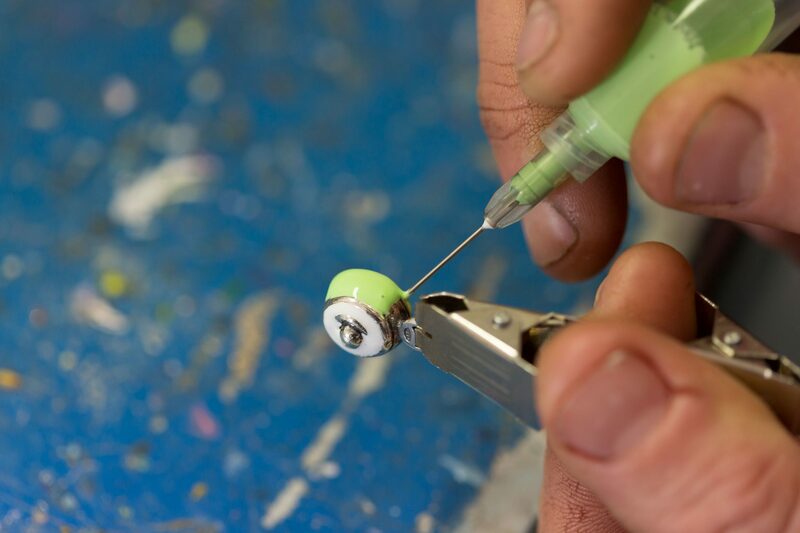 We only use scratch-resistant polychrome enamel for our charms at Goielli DOP. 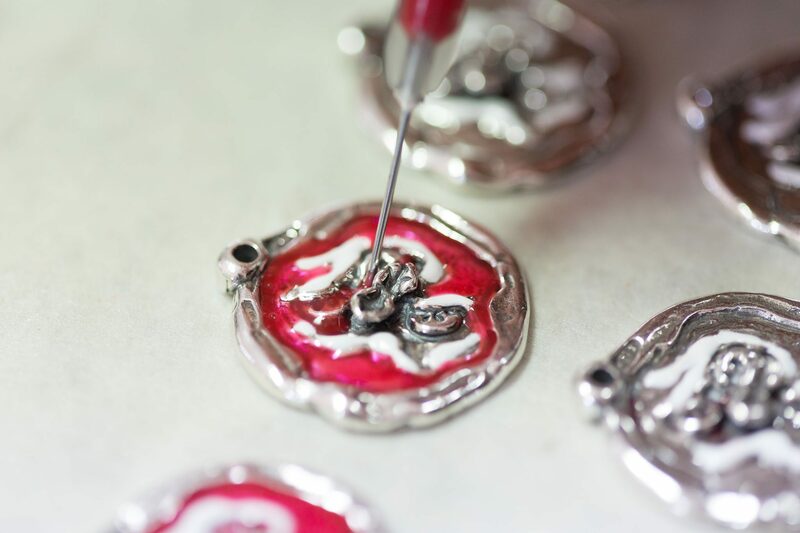 They are oven baked, meaning they are made to last over time! 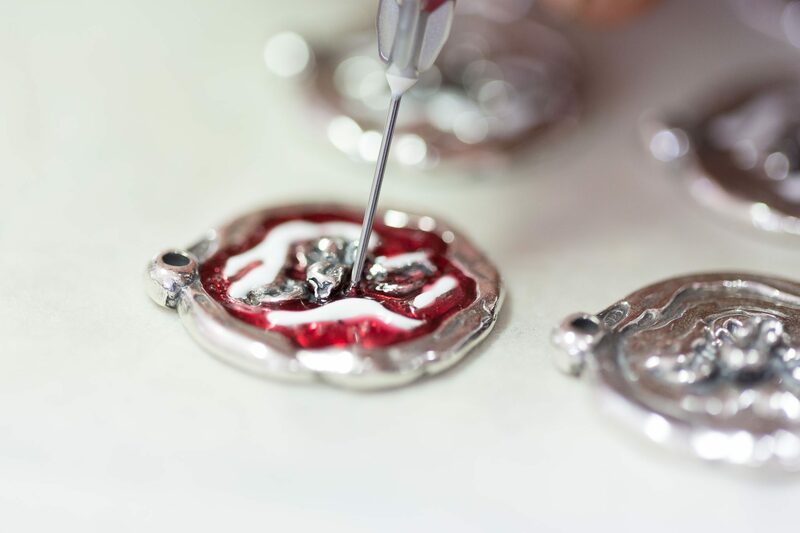 This process requires a careful preparation of the mini sculptures from the very first step, starting from the design. 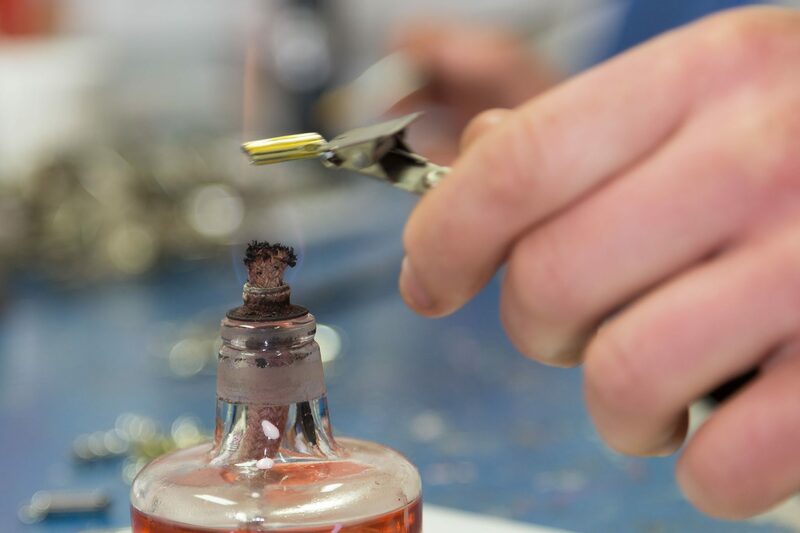 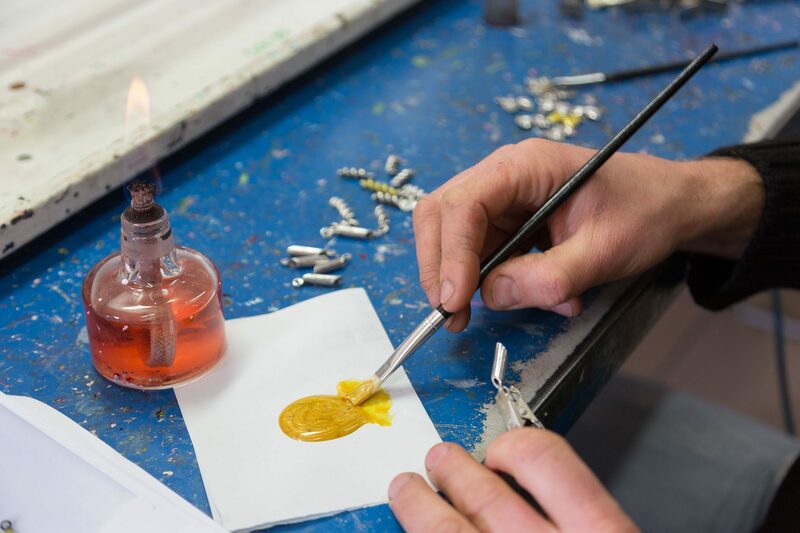 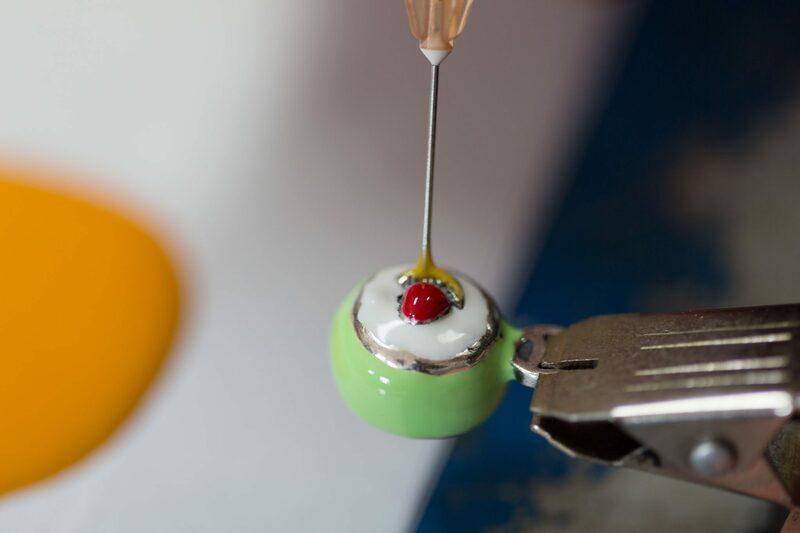 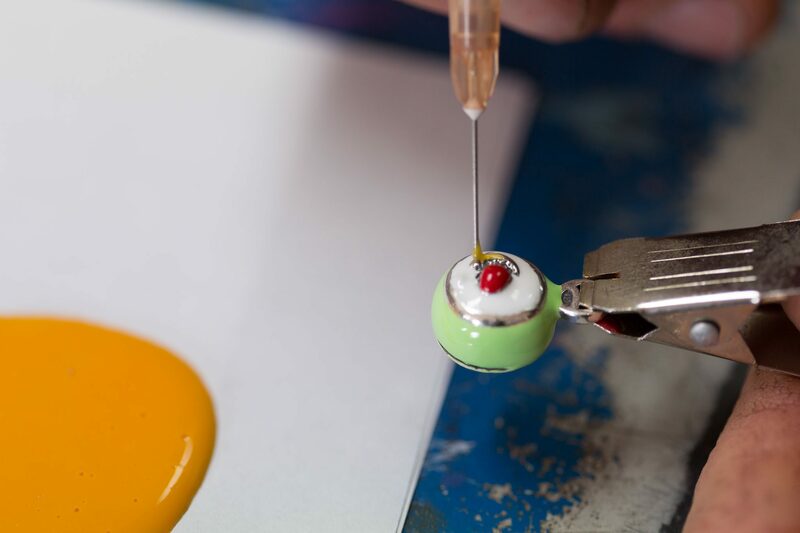 The colors and enamels are prepared and carefully mixed to create an original flavor for every individual charm! 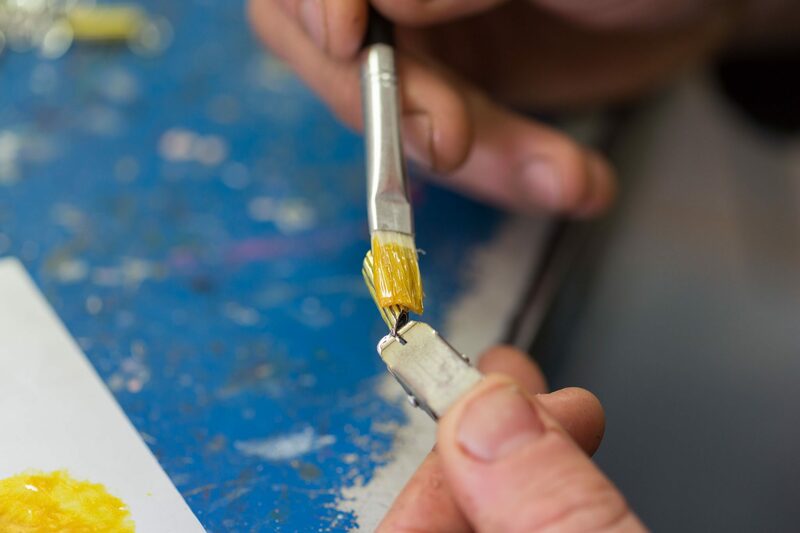 Artist at work: Bringing our idea to fruition. 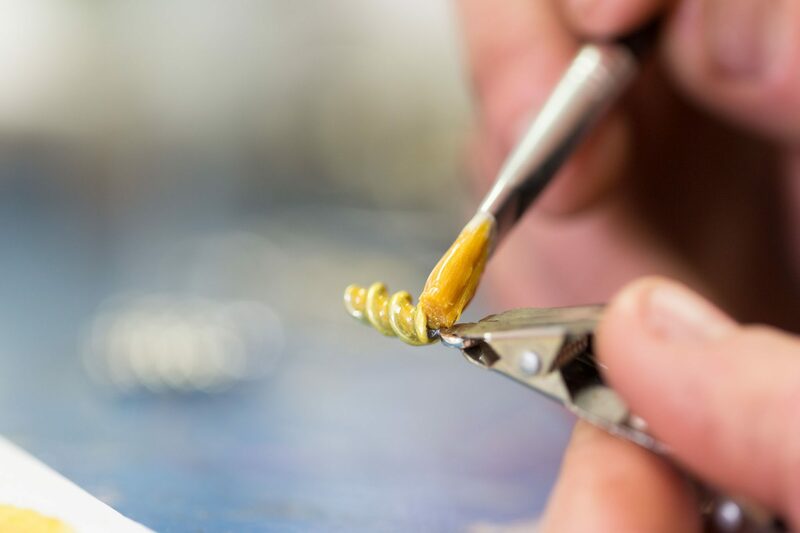 Now you can enjoy our Mediterranean flavors!